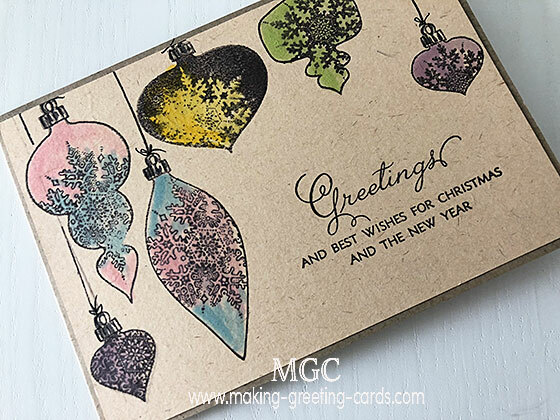 Here are some more Christmas Cards Verses that you can freely use in your homemade Christmas greeting cards. I have divided all the Christmas verses for Christmas cards into two pages. This is the second page. Click here to view the first page. I hope these two pages of Christmas cards verses will come in handy when you are looking for wordings for your handmade Christmas cards. Have a Joy Filled Christmas! and the joy He brings to our lives. and all the best in the New Year. and a joyous New Year. From the Greatest City/Country in the World. and cherish those who are. where children will be safe and free. harder to leave, and impossible to forget." could possibly bring to you. names of all my friends. by name. Those that owe me little and those that I owe so much. the new year". These are my sincere wishes. and share it with all around. bring warmth and peace to your home. and your new year hold many small miracles. grow to fill the next 12 months. Merry Christmas and a Fruitful New Year. Yes --- all is not calm or all bright. But --- remember, it wasn't for young Jesus either. HE is also with each one of us! hold it close to our hearts. Merry Christmas to you and Blessed New Year! AND make a world-wide BRIGHT! If you have some Christmas cards verses that you would like to be included here for us to use, please do contact me and if appropriate, I will add your Christmas verses here. Thank you. And for Christian Christmas verses, just click here to get them . Need Bible verses for your Christmas greeting cards! Click here to view the Christmas Scripture Verses. For more Christian verses, visit my personal Christian website.